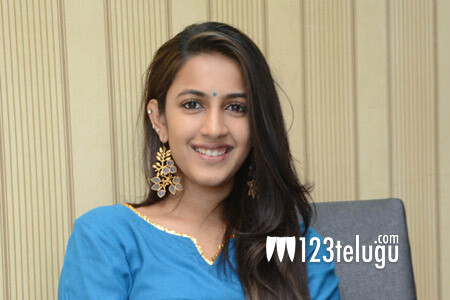 The success of Happy Wedding is very crucial for Niharika as her debut film bombed at the box office. On the eve of Happy Wedding’s release, we caught up with her for a brief interview. Here is the transcript. I was very skeptical to visit so many places before the film’s release. But as we are very confident about the film’s success, we took our film to several ladies colleges as our content is related to them completely. I play a girl called Akshara who is quite complicated in her approach. Even though she is very simple, her decisions create a lot of problems for the hero and his family. I am like the villain and it was quite a challenging role for me and I hope everyone will like my performance. When will we see you in star hero films? Frankly speaking, I don’t look at the heroes before I sign the film. My role should be strong enough for me to do a star hero film. Otherwise, there is no point in doing a film which is star-driven. Working experience with Sumanth Ashwin? After watching Sumanth’s films, I thought he is a very jovial person. But we spoke very less on the sets as Sumanth was in his own world doing something or the other. Why do you only work with debut directors? What’s wrong with that. New directors always come up with new scripts and write good roles for me. When time comes, I will also do a film with senior directors.